Walney Extension, located off the Cumbrian coast in north-west England, features 40 of MHI Vestas’ V164-8MW turbines, uprated to 8.25MW, and 47 units of Siemens Gamesa’s SWT-7.0-154. The project is due to be fully operational in the second half of 2018 once the turbines and substations are commissioned. It also marks the first commercial use of Siemens Gamesa’s 7MW turbine. It achieved first power in September 2017. All 87 turbines were installed in two phases by Seajack’s Scylla vessel, with MHI Vestas’ turbines in the west of the development zone installed first and then Siemens Gamesa’s turbines to the east. Ørsted split the project into two phases because the site has two distinct areas with differing features, a spokesperson for the developer told Windpower Monthly in 2015. 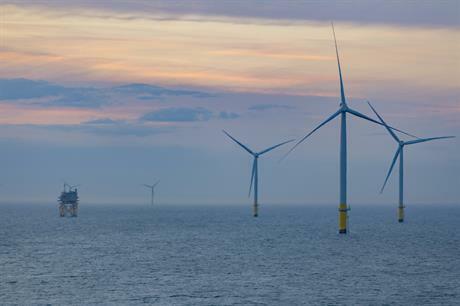 Walney Extension, which is owned by Ørsted (50%) and Danish pension funds PFA (25%) and PKA (25%), overtakes the 630MW London Array off England’s south-east coast as the world’s largest installed offshore wind farm.